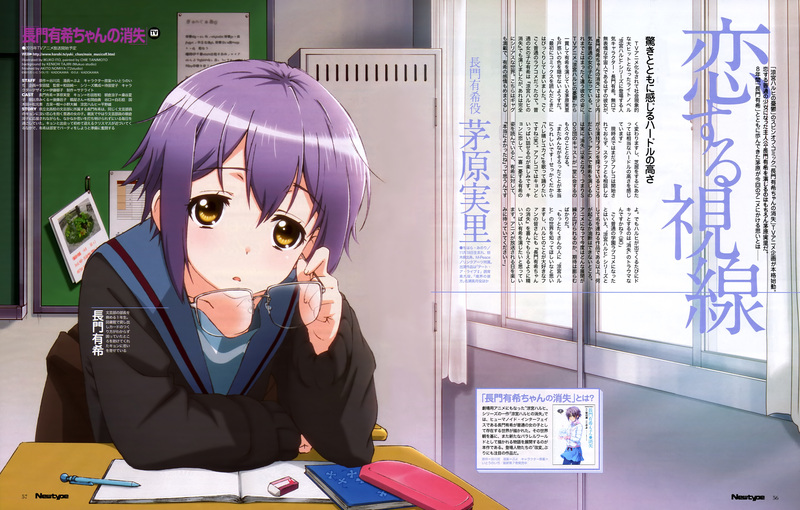 The first details about the Opening theme song of the upcoming anime adaptation of Nagaru Tanigawa and Puyo’s The Disappearance of Nagato Yuki-Chan (The Vanishing of Nagato Yuki-Chan) manga has been revealed on Japanese online retailer Tsutaya. The retailer reveals that the OP itself will be sung by the main female cast members of the series. The Opening theme song of the anime will be Fure Fure Mirai and will be performed by the new group the North High School Literature Club Girls. The group itself consists of the main female cast members of the upcoming series, which has Minori Chihara (Yuki Nagato), Aya Hirano (Haruhi Suzumiya), Natsuko Kuwatani (Ryoko Asakura), Yuko Goto (Mikuru Asahina), and Yuki Matsuoka (Tsuruya). 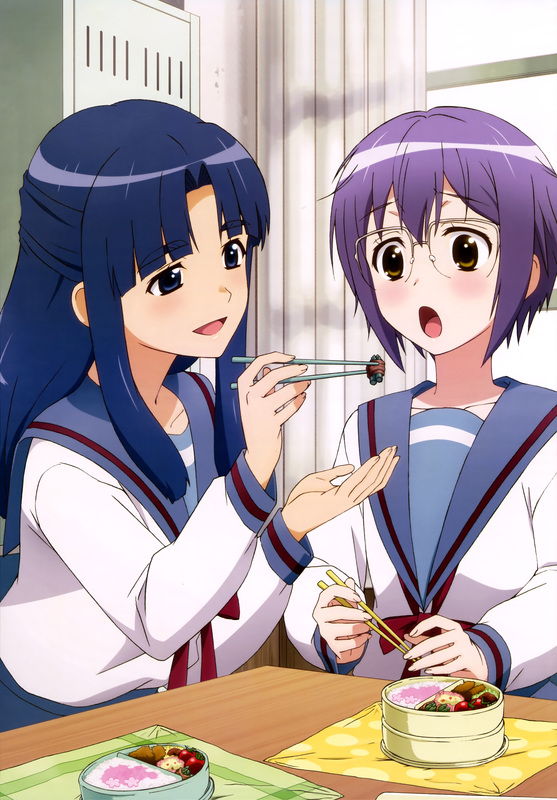 The anime adaptation of The Disappearance of Nagato Yuki-Chan will be airing during the Spring 2015 anime season on Tokyo MX and AT-X. More information about the anime will be revealed in the near future.